Is The Internet Closing Our Minds Politically? On the Internet, it's easy to find like-minded people and to frequent sites where you agree with the content. And algorithms are serving up more personalized search content. Are we running the risk of getting trapped in information bubbles? A panel of experts debates for Intelligence Squared U.S.
On the Internet, it's easy to find like-minded people and to frequent sites whose content you already agree with. And the online world is increasingly tailored to individual preferences and interests — including search engines serving up more personalized results for your queries. But are we running the risk of getting trapped in information bubbles, where all we read and see falls in line with our political views? 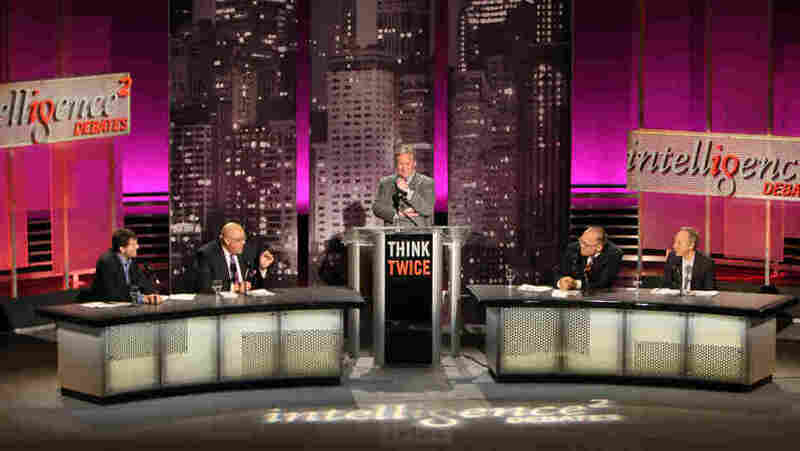 A group of experts took on that topic in the latest Intelligence Squared U.S. debate. They faced off two-against-two in an Oxford-style debate on the motion "When It Comes to Politics, the Internet Is Closing Our Minds." 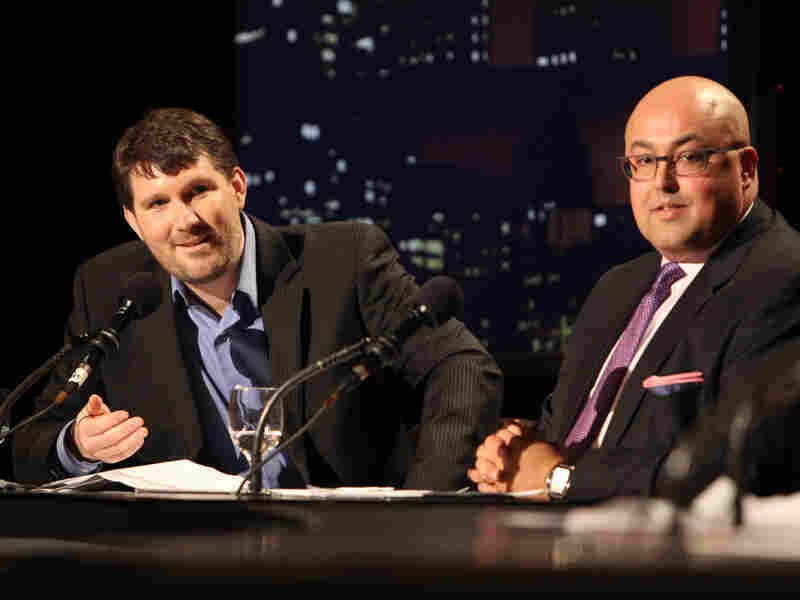 Eli Pariser (left) and Siva Vaidhyanathan argued that "When It Comes To Politics, The Internet Is Closing Our Minds." Eli Pariser is the former executive director of MoveOn.org, which at 5 million members is one of the largest citizens' organizations in American politics, and now sits on its board. He's currently the CEO of Upworthy.com, a new site focused on spreading ideas. In his book The Filter Bubble: What the Internet Is Hiding from You, Pariser argues that personalization undermines the Internet's original purpose as an open platform for the spread of ideas. A cultural historian and media scholar, Siva Vaidhyanathan is currently chairman of the Department of Media Studies at the University of Virginia. He also teaches at the University of Virginia School of Law. The author of The Googlization of Everything (And Why We Should Worry), Vaidhyanathan has testified as an expert before the U.S. Copyright Office on the Digital Millennium Copyright Act. 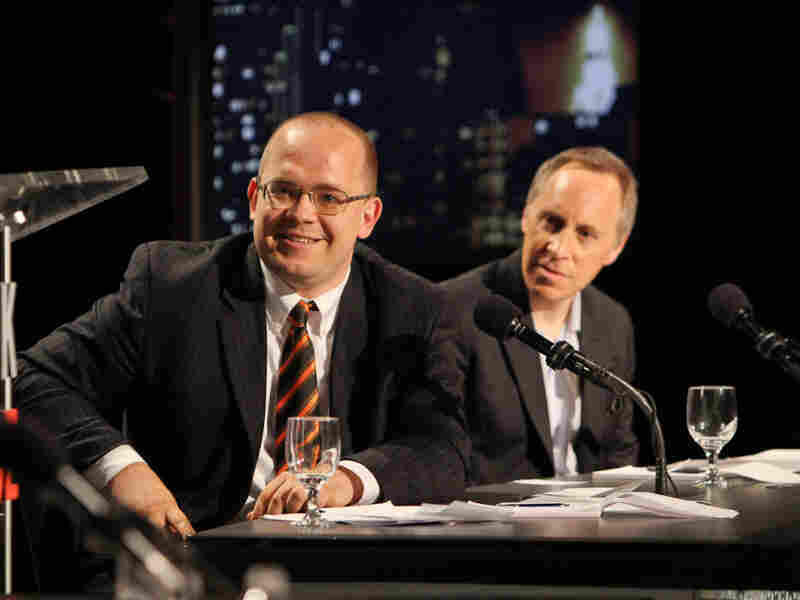 Evgeny Morozov (left) and Jacob Weisberg argued the Internet isn't closing our minds when it comes to politics. Evgeny Morozov is the author of The Net Delusion: The Dark Side of Internet Freedom. Morozov is currently a visiting scholar in the Liberation Technology program at Stanford University, and a Schwartz fellow at the New America Foundation. Before moving to the United States, Morozov was director of new media at Transitions Online, a Prague-based media development NGO active in 29 countries of the former Soviet bloc. Jacob Weisberg is the editor-in-chief of The Slate Group, a division of The Washington Post Co. From 1989 until 1994, he worked as a writer and editor at The New Republic. Between 1994 and 1996, he wrote the National Interest column for New York Magazine. In the fall of 1996, he joined Slate as chief political correspondent. He succeeded Michael Kinsley as editor of Slate in 2002.